Minister Frances Fitzgerald still has not published a report into allegations of a campaign to discredit a whistleblower. Minister Fitzgerald (right) says she expects to bring proposals to the government "in the very near future". THIS WEEK THE Policing Authority, which was established just one year ago, launched a new code of ethics for An Garda Síochána. Included is a commitment to speak up and report wrongdoing. Speaking to TheJournal.ie, authority member Judith Gillespie said members of the force from the bottom to the very top also have a role to “support those who speak up and challenge those who bully or intimidate” people who report wrongdoing. The publication of the new code came on the same day Garda Commissioner Nóirín O’Sulivan said she was not aware of any campaign to discredit any individual in the context of garda whistleblowers. She was asked by RTÉ’s Seán O’Rourke about a number of protected disclosures which are the subject of a report by Judge Iarflaith O’Neill. The judge presented the final report to Minister Frances Fitzgerald before Christmas, but it has yet to be published or even presented to Cabinet. She said yesterday that she expects to bring proposals to the government “in the very near future”. The delay in publishing the report was criticised by TD Mick Wallace, who made reference in the Dáil to O’Sullivan’s radio interview. “Yesterday, the Garda Commissioner was on the airwaves telling us how wonderful everything is and how wonderful she is herself, bombing us with doublespeak. Meanwhile, the harassment of whistleblowers continues,” he said. He referenced whistleblower Keith Harrison, who he said has written to the commissioner 14 times detailing his “harassment and bullying”. Speaking under Dáil privilege, Wallace asked whether the Taoiseach intended to “leave the Commissioner in place”. If all is so well, as the Commissioner likes to tell us, can the Taoiseach or the Commissioner explain to me why so many whistleblowers are out sick and why they are not at work? Why does Nóirín O’Sullivan not ring the whistleblowers? How is it that she has never even rung them? She has not rung any of them. 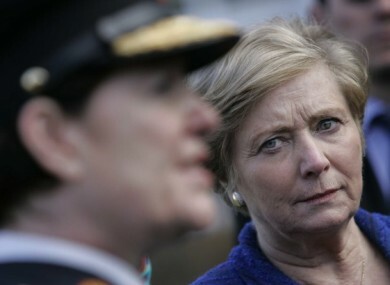 Would the Taoiseach consider asking the Commissioner to ring the whistleblowers who she says she cares so much about? It is a bit scary that what she says in public is one thing, but the reality on the ground could not be much different. “To be honest, I do not know what is in the O’Neill report. It was received by the Tánaiste before Christmas. As third parties are specifically mentioned in it, the Tánaiste quite rightly referred the report to the Attorney General for analysis and assessment of the form in which and the extent to which it might be published,” the Taoiseach later explained. Gillespie said the Policing Authority also has not seen the report, but said she imagines she and her colleagues will have a role once it is published – if it is published. “The authority has a role in ensuing third party reports the recommendations of third party reports are implemented, we already have that function. If there are recommendations, we’ll certainly be interested in them,” she said. Email “New garda rules encourage speaking up as 'harassment of whistleblowers continues'”. Feedback on “New garda rules encourage speaking up as 'harassment of whistleblowers continues'”.